Combinatorial optimization is one of the fields in mathematics with an impressive development in recent years, driven by demands from applications where discrete models play a role. Here, we intend to give a comprehensive overview of basic methods and paradigms, in particular the beautiful interplay of methods from graph theory, geometry, and linear and integer programming related to combinatorial optimization problems. To understand the underlying framework and the interrelationships more clearly, we illustrate the theoretical results and methods with the help of flows in networks as running example. This includes, on the one hand, a combinatorial algorithm for finding a maximum flow in a network, combinatorial duality and the max-flow min-cut theorem as one of the fundamental combinatorial min–max relations. On the other hand, we discuss solving the network flow problem as a linear program with the help of the simplex method, linear programming duality and the dual program for network flow. 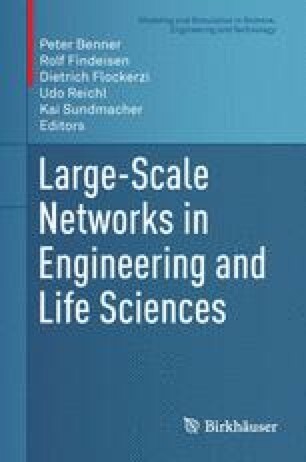 Finally, we address the problem of integer network flows, ideal formulations for integer linear programs and consequences for the network flow problem.